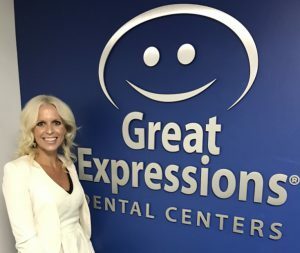 (Sept. 17, 2018) – Great Expressions Dental Centers, a leader in preventative dental care, today announced the appointment of Wendy Flanagan as National Vice President of Dental Assisting Practice, a new role at the organization. In this role, Flanagan will provide leadership and representation in training, education, support and mentorship to dental assistants across Great Expressions’ national footprint. Flanagan, a resident of Cleveland, Tennessee, joined Great Expressions in 2013 through an affiliation as the regional practice administrator and quickly earned a promotion to the Vice President of Operations. In this role, she led a team of more than 200 individuals to drive, solve, build and develop processes to improve the company’s overall business and operations strategies. Flanagan earned her Bachelor of Science degree from Kennesaw State University in Kennesaw, Georgia, with a major in biology and a minor in mathematics.